suffer physical affliction on this earth. Material abounds on the subjects of faith healing, the purpose of trials, and the practice of faith in the believer’s life. But where is the book that covers all of this? 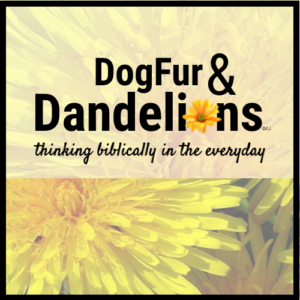 Where are the resources for today’s Christians regarding the whole subject of sickness and healing? I began a search for such resources when I was diagnosed with a long-term illness in 2007. Suddenly the topic became very personal, and I was overwhelmed with the desire to study it in depth to discover what my response should be. 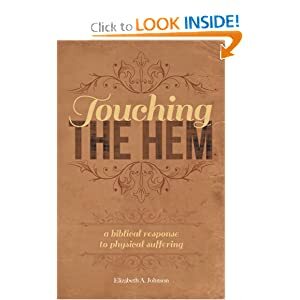 Touching the Hem: A Biblical Response to Physical Suffering has grown out of that study, with the hope and prayer that it might instruct and encourage others who find themselves or their loved ones in similar situations. It starts with a thorough look upward, at who God is, and what He has done and will do for His creation (mankind). It then looks outward, considering our present circumstances in light of God’s character and works. Only after looking upward and outward does it turn the gaze inward, considering what our response should be to present physical suffering, and how we should continue living according to a biblical response. My prayer is that this book could help other men and women in their own struggles with illness or injury, encouraging and building up their spirits in the knowledge of God and His Word.